Playing games on your Smartphone is the most fun way to kill your free time. Moreover, mobile gaming Smartphone has grown from year to year; ranging from simple games like chess or domino until now you can already play games with good graphics through your favorite Smartphone. 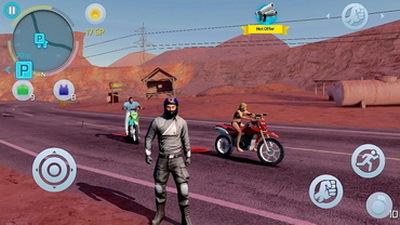 Most Smartphone games do require Internet connectivity for a variety of actions, ranging from updates to playing with other players online. However, sometimes you are faced with certain situations that make you not online, but still want to play the game. For example, you are in an area that is unreachable to internet signals. 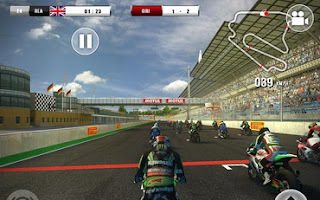 You will be spoiled greatly by this Superbike racing game. For example, you can choose a motor from a variety of different manufacturers, such as Aprilia, Kawasaki, Honda, Ducati, MV Agusta, and BMW to Yamaha. Race your adrenaline racing with drivers like Tom Skyes and Sylvain Guintoli in 13 rounds on international circuits like Euro Speedway Lausitz. Are you ready to race speed with the look of the game play directly from the front of the handlebars? One of the world's most exciting franchise games from Ubisoft is present in this platform, do not get me wrong because this game is as exciting as other Assassins Creed franchises. 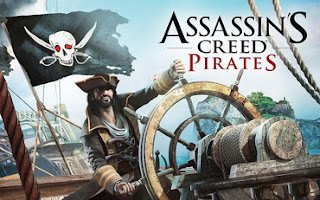 This game has been downloaded as many as 10 million times and gives you the option of playing as an easy pirate captain, building a ship crew, fighting against other ships, and exploring the Caribbean sea. This game will take you exploring off-road wild racing adventures that will make you crazy. You will be confronted with other drivers who are just as crazy as their unique-unique abilities. 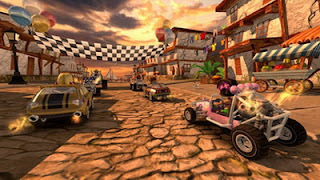 You can choose from a variety of cars ranging from buggies to monster trucks and equip them with a variety of weapons such as Dodge ball Frenzy, Fireball, to Oil Slik to make the race sessions wilder. Want to feel another wild racing sensation? In the game Madout Open City, the most important thing is to win the race. No matter how, you just need to win the race. 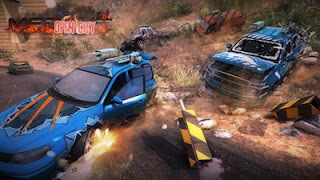 Increase your car's ability with weapons to destroy your opponent's car to pieces. This game is a blend of real race and wild races. You can explore the whole city, but stay alert with your opponents. They are bots designed to have the same madness as you and are eager to win the race. As the title suggests, you will experience the glamorous Las Vegas life at once from the standpoint of the gangsters. You will be involved in Las Vegas mafia battles and can play as an MMA wrestler who can later become a mafia leader. You can explore the streets, the air, to the sea. For characters, you can play as an MMA wrestler, a hit man, or just a gambler who is addicted to gambling. These five games can make you spend time together with your favorite Android gaming Smartphone.